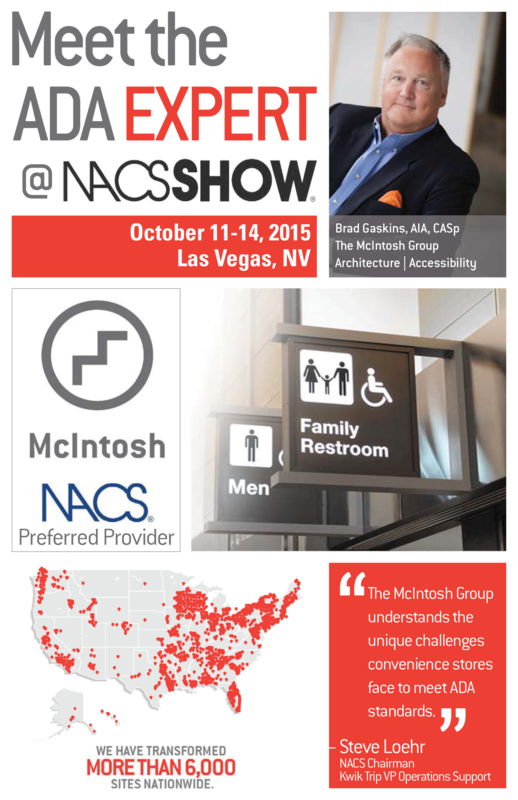 The McIntosh Group is a proud partner of NACS, The Association for Convenience & Fuel Retailing, and a NACS Preferred Provider. Through The McIntosh Group’s ADA compliance program, NACS member retailers can obtain discounted rates on customized and specific solutions, as well as assistance with navigating the slew of new requirements implemented under updated ADA regulations. Contact us to learn more, or download our ADA Training Brochure.